Dr. Gina Tanios-Rafla is one of the only dentists in the state of New Jersey to offer a gum whitening treatment. Individuals struggling with dark gums can address this issue directly at our East Brunswick office location. Dark gums are caused by what is called hyperpigmentation, a darkening of an area of skin that is caused by melanin. Melanin pigmentation can often be attributed to genetics, and people with darker skin tones and particularly of Asian, Middle Eastern, Mediterranean or African decent are more prone to hyperpigmentation. Dark gums can affect people of all races and ethnicities genetically, but there are also other causes to dark gums that can be cited. The most modern approach to gum bleaching involves the use of a dental laser to remove the dark pigmentation on the gums. Although many dentists who perform this procedure may use surgical procedures, Dr. Tanios-Rafla utilizes the Waterlase MD Laser. The Waterlase Laser is minimally invasive, avoids the stress of needles, and allows patients to receive the dark gums treatment painlessly and safely to remove discoloration on their gums. This soft tissue laser is also used to treat gum disease amongst various other applications. Patients who are interested in this procedure should already have healthy gums and practice good oral hygiene. If your gums are swollen or inflamed due to gum disease Dr. Tanios-Rafla will have to address these issues before the dark gum treatment can begin. The dark gums treatment can be completed in one office visit and a patient with dark gums can leave the office with pink gums. Patients with very sensitive gums may experience some discomfort for a short period of time. Patients can expect to be able to speak and eat normally immediately after the treatment is completed. 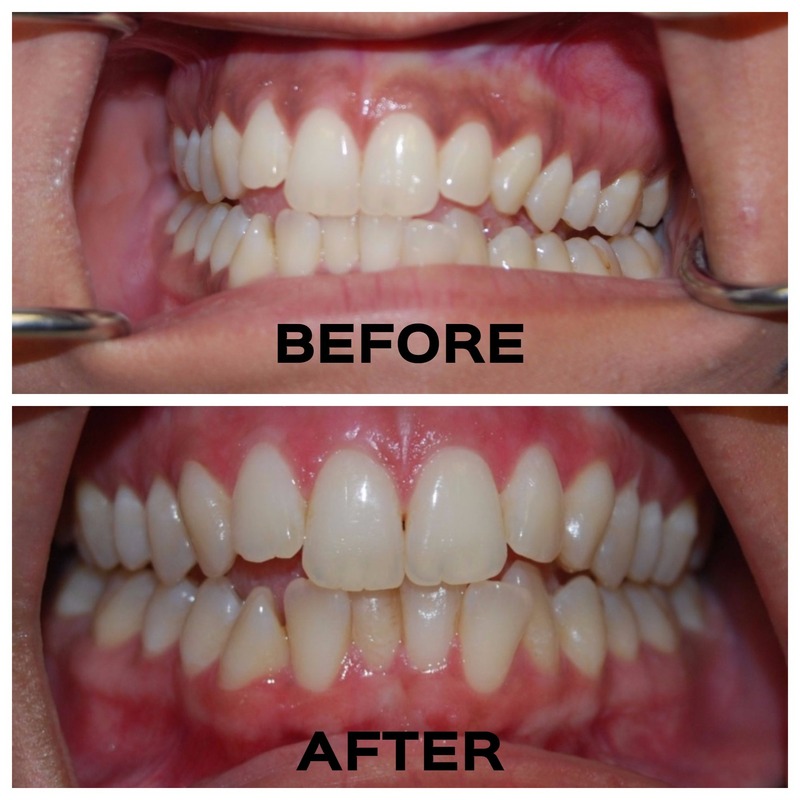 The cost of the gum bleaching treatment will vary depending on the degree, depth and location of the discoloration. Each patient will have to be analyzed on a case-by-case basis to determine how much treatment they require and how much they can expect to pay for gum bleaching.